HO! HO! HO! 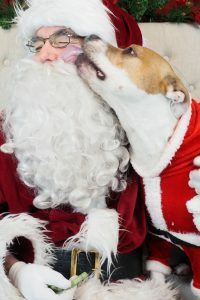 Santa is coming to the Ottawa Humane Society! Mark your calendars and bring your furry friends and family to have your portrait taken with Santa. All proceeds go directly to supporting the animals in the care of the Ottawa Humane Society. Methods of payment accepted on-site: Cash, cheque, debit or credit. Please enter through the doors marked “Main Entrance” and proceed to the Santa Pet Pics registration desk located in the Administration area. Photos will be taken on a first come, first serve basis – no appointments. Please note dates and times are subject to change.